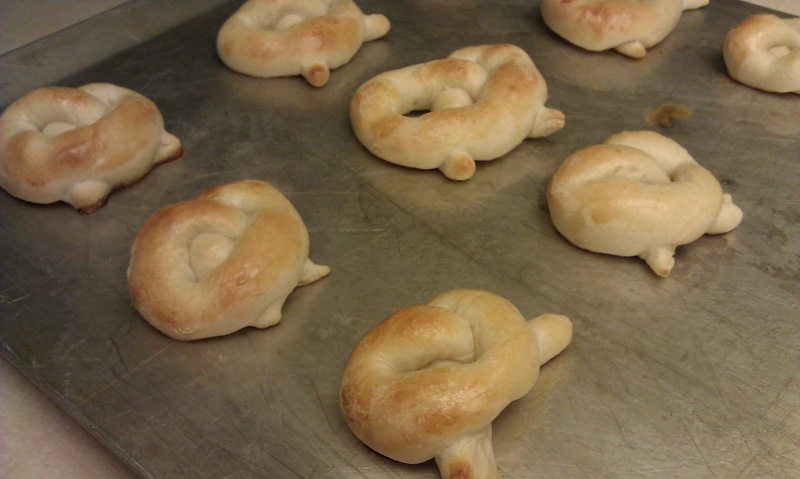 I've been craving home made pretzels for awhile. 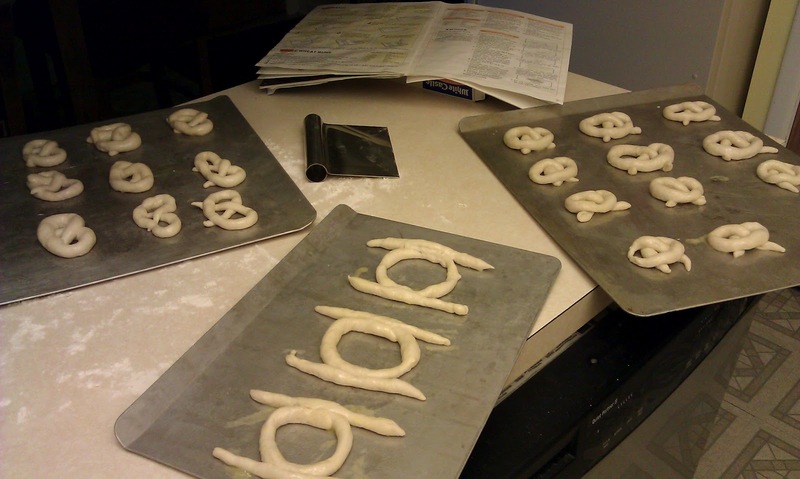 There is something about soft, warm home made baked goods that I just love. 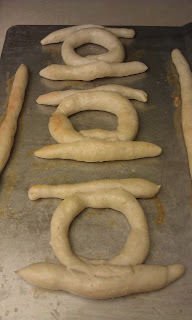 So I made a batch this evening after dinner, including some shaped a little differently. The Green Lantern shaped pretzels didn't come out as awesome as I'd hoped, but they're still in the correct rough shape. I thought about food coloring and maybe next time around I'll toss some in the dough to get some truly green colored ones.